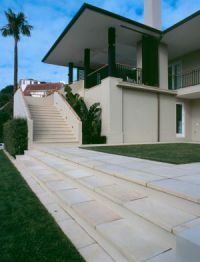 SANDSTONE PAVING SAle up to 30% off while stocks last. 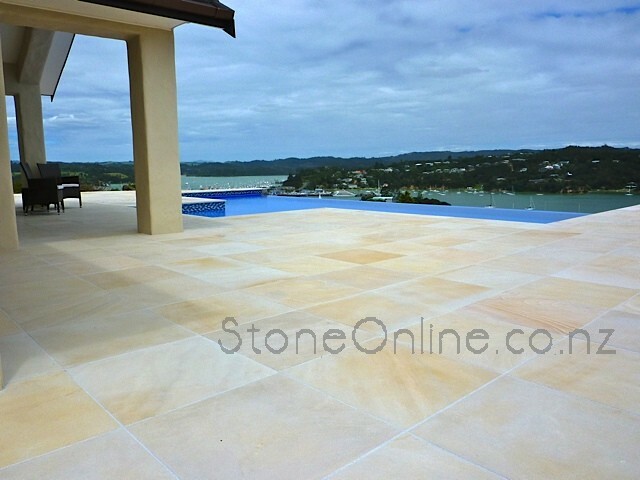 Bianco Sandstone - whitest of the Indian Sandstones with occasional grey veining (also called Apple White or Tinted Mint). 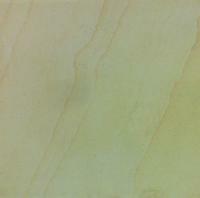 Moire Sandstone - warm off white Indian Sandstone shown to the right (similarly called Peach White or Tinted Mint). Use it in exterior applications only. Use a mid grey coloured grout. Maintaine with bleach or 'Wet and Leave type' products. Don't waterblast the surface as it opens the pores and then gets dirty really quickly. These prices are also the best on the market. Buy online or contact us today!